A new report from Variety indicates music streaming service Rdio is being acquired by Pandora for $75 million. 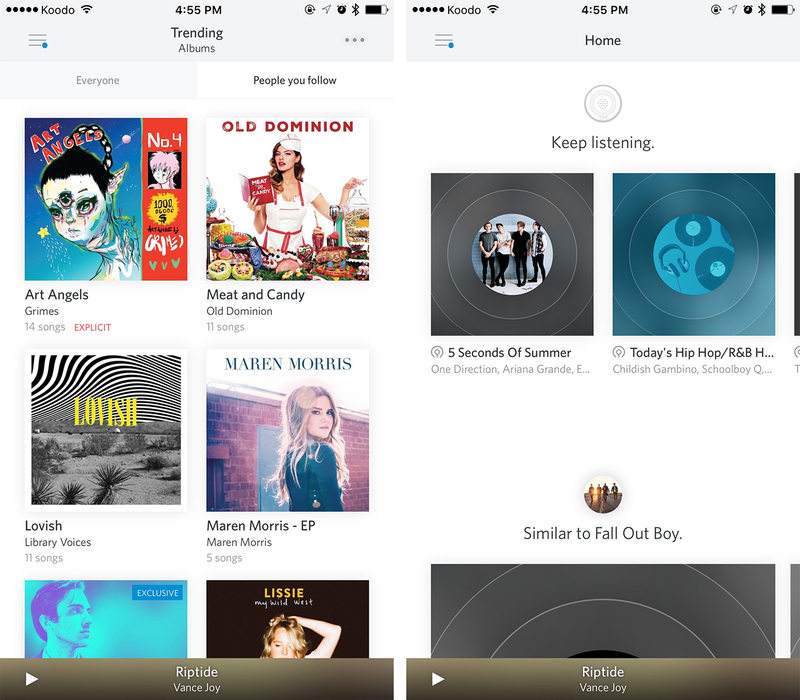 Rdio says it also plans to file for bankruptcy. In a press release, Pandora says it has purchased “technology and intellectual property from Rdio,” and that the company intends to offer jobs to many members of Rdio’s team. Acquisition negotiations between Rdio and Pandora have been reportedly going on for the last few months. “The Rdio team built an acclaimed product and technology platform that has consistently led innovation in the young streaming industry. I’m pleased that many members of the Rdio team will continue to shape the future of streaming music, applying our tradition of great design and innovative engineering on an even larger stage with Pandora,” said Anthony Bay, chief executive officer of Rdio, in a recent press release sent to MobileSyrup. Rdio will cease operations at an unspecified point in the future, and its on-demand streaming assets will likely be rolled into Pandora’s core product. In contrast to other streaming music platforms, Pandora has adopted a radio-like approach to music streaming, while services like Spotify and Apple Music offer a la carte, selective experiences. Pandora’s purchase of Rdio could indicate the company intends to pivot its streaming options, offering a user experience more in line with Spotify and Apple Music. Currently Pandora doesn’t allow users to listen to full albums, create playlists or listen to individual songs. Instead the service plays personalized radio and allows a limited number of skips per hour. Rdio operates very similarly to competing services like Apple Music and Spotify, featuring a library of over 30 million songs. Rdio was founded in 2010 by Skype co-founders Janus Friis and Niklas Zennstroem. The music streaming industry has become increasingly competitive over the last few years, with new entries like Apple Music and Google Play Music entering the space. In just a few months Apple Music has already amassed 6.5 million paying subscribers. Spotify has reported in the past that it has 20 million paid subscribers. Rdio has been reluctant to release subscriber numbers. While Pandora currently isn’t available in Canada, Rdio launched north of the U.S. border a number of years ago. Pandora is currently only available in the U.S., Australia and New Zealand. In comparison Rdio has a much larger international footprint and operates in over 100 countries. Pandora could also leverage its acquisition of Rdio to expand its service to new regions and increase its music licensing options. In the past Rdio’s clean and intuitive user interface has received praise from fans of the service.